The Institute of Community Directors Australia (ICDA) is Australia’s best-practice governance network for not-for-profit boards, committees, councils, schools, and their staff. An Our Community enterprise, the Institute delivers information, tools, training, events, qualifications and credentials to not-for-profits of all kinds. The Institute of Community Directors Australia has its origins in the year 2000 through the work over more than a decade of Our Community. Our Community is a pioneering social enterprise that provides advice and tools for Australia's 600,000 not-for-profit groups and schools. The organisation provides easy-to-digest information, practical tools, training and connections for not-for-profit groups across the country, both face to face and through our websites, www.ourcommunity.com.au, www.fundingcentre.com.au and www.givenow.com.au . You can read more about Our Community's history, vision and work here. Very early in our history, Our Community realised that the boards and committees overseeing Australia's 600,000 not-for-profit groups were absolutely central to the reform of the sector - that there was really no issue of greater importance. A healthy, productive, functional governance team is the key to every aspect of a not-for-profit group's health - its fundraising capacity; its diversity; its innovation; its financial health; its planning; its responsiveness to opportunities and challenges; its value in serving the community. As we travelled the length and breadth of Australia talking to not-for-profit groups and consolidating our knowledge about their strengths and challenges, it was the board that so often came up as an issue that needed resolution. At the same time, the not-for-profit landscape was changing markedly. Where once not-for-profit board members were seen as "time donors," applauded for their hard work and excused from too-high expectations and onerous compliance requirements, now much more was required. We knew that serving as a community director could be immensely rewarding. But it also requires a great deal of commitment and passion, as well as a good working knowledge of the ethical and legal considerations that governance entails. And so we added "not-for-profit governance" to our suite of information sheets, tools and training. The response was overwhelming. We were delighted to witness such an overwhelming willingness for education and reform among the already overworked volunteers and staff who were serving on and working with community boards across the country. The development of the Institute of Community Directors Australia reflects the maturity that we now see in area of not-for-profit sector governance. Modern community directors are more educated, more professional, more sophisticated than they ever have been - and we believe they should be acknowledged and rewarded and connected with one another. The Institute for Community Directors Australia is designed to do just that. Community focussed - our courses and resources are for not-for-profits, no one else. Honourable - we respect the people who are working to make our communities stronger. We reflect that respect in the quality and range of the services we provide. Actually Useful - no padding, just the stuff that's really needed in the not-for-profit world. Networked - we are plugged in to the not-for-profit world; we help our members plug in too. Grounded - no jargon, no nonsense, no theory without practical application. Ethical - ethics, inspiration and innovation are at our core. All members of the Institute of Community Directors Australia agree to abide by the Code of Ethics and Conduct. The Institute of Community Directors Australia is led by the innovative members of the Our Community founding team, Denis Moriarty (Our Community Founder and Group Managing Director) and Patrick Moriarty (Institute of Community Directors Australia Executive Director). The Institute is backed by the Our Community Board, comprising founding Chair Carol Schwartz and ethicist Dr Simon Longstaff. Other dedicated staff members assist in the inspiration and administration of the Institute - you can read more about our team here. The advisory arm of the Institute of Community Directors Australia (ICDA) - which represents thousands of community board members - brings a wealth of talent, experience, skills and direction to the organisation. They've held senior roles in government, business, academia, and at the coalface of community organisations, bringing specialist knowledge of not-for-profit law, finance, governance, theory and change management to the table. 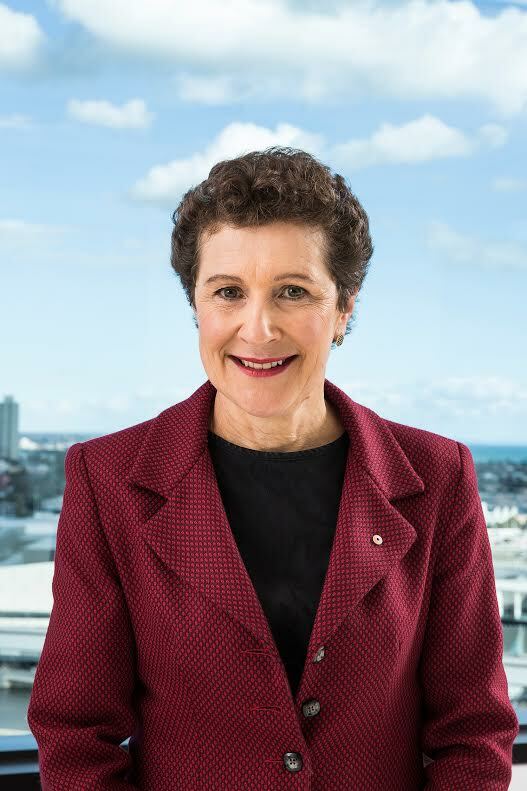 The Council is chaired by Susan Pascoe (AM). Ms Pascoe was Inaugural ACNC commissioner, and chairs both the Australian Council for International Development (ACFID) and the Principals Australia Institute Certification Advisory Board. She was appointed as Adjunct Professor at the University of Western Australia in November 2018. The Institute of Community Directors Australia was launched in Melbourne on Monday, February 17, 2014. The launch included addresses by Our Community Group Managing Director Denis Moriarty, Our Community Founding Chair Carol Schwartz AM, and University of Western Sydney Chancellor Prof. Peter Shergold AC. You can watch the addresses below. You can also find us on Twitter, Facebook and LinkedIn.